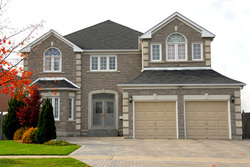 Every homeowner and business owner is different when it comes to their security needs. There is not a "one shoe fits all" system. We suggest an in-home or business consultation to figure out what is best for you. These consultations are free and no-pressure. We want to help you find a system that fits your needs and budget. However, there are some basic rules of thumb to follow. 2. At least one motion sensor should be installed to set up a "trap zone". Depending on the size of your home/business, you may need more than 1. 3. We highly recommend you protect your windows, at least the most vulnerable ones. 4. You should strongly consider life safety devices like smoke detectors, heat detectors, carbon monoxide sensors and emergency devices. You can replace items that are stolen, you cannot replace a loved one. A-1 Alarm Protection is licensed and insured to install alarm and CCTV systems in the entire state of Michigan and northern Ohio. We have hardwired, wireless and pre-wired systems for all types of homes, new construction and businesses. We ship our specially priced equipment anywhere in the Continental US. 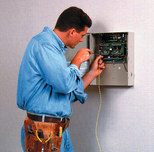 You can install the equipment yourself or hire a licensed installer to install the equipment for you. We can help you find a licensed installer with our Field Nation connection. Please click on the picture for more information. Either way, you will save money on your equipment costs by buying wholesale from A-1 Alarm Protection. The 24/7 monitoring for A-1 Alarm Protection's customers is handled by Brinks Security. Brinks is one of the nation’s largest, fastest-growing security alarm monitoring companies. Headquartered in Dallas, they provide monitored business and home security system services to more than 1 million residential customers and commercial clients through its network of nationwide, independent Authorized Dealers. At the heart of their operations is the Brinks Central Station, which has consistently met or exceeded all UL, National Fire Protection Association and Central Station Alarm Association standards. With millions invested in their monitoring technology, they can provide reliable, uninterrupted security monitoring service. For more information, please visit: https://brinkshome.com/ or just click on the logo.